Well my solo exhibition “From firefighter to artist” is well into its 3rd week at the DH Lawrence Heritage Centre in Eastwood (my thanks to Sue and all the staff there) in fact its 4th week starts tomorrow. I am amazed how quickly the time is going by. In fact so fast that the end of May and Derbyshire Open Arts will soon be upon us. 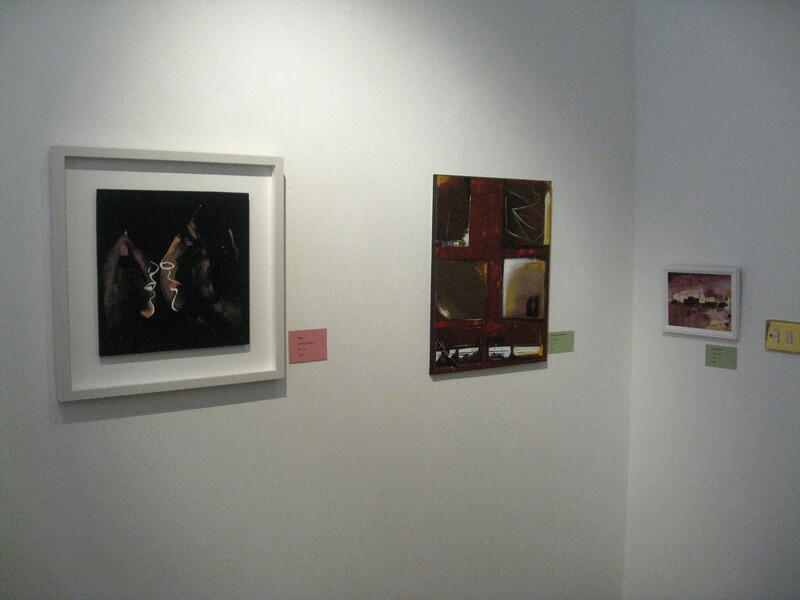 My exhibition closes on 25th May and DOA runs over 24-26th. This year I will be appearing at Leabrooks Gallery for the 3 days of DOA, which will actually be a first for me this time as other demands have ruled it out in recent previous years. So I do hope to see you there, please come and make yourself known to me. The eagle eyed amongst you will have spotted that I appear to have something of a clash that weekend but don’t worry I have already cleared it with DH Lawrence Centre to remove some of my artwork early so that there will be some of it on display at Leabrooks. I will be talking through the w/e with John Carnall over the next week or two to see just what the DOA format will be and how much work he can hang. 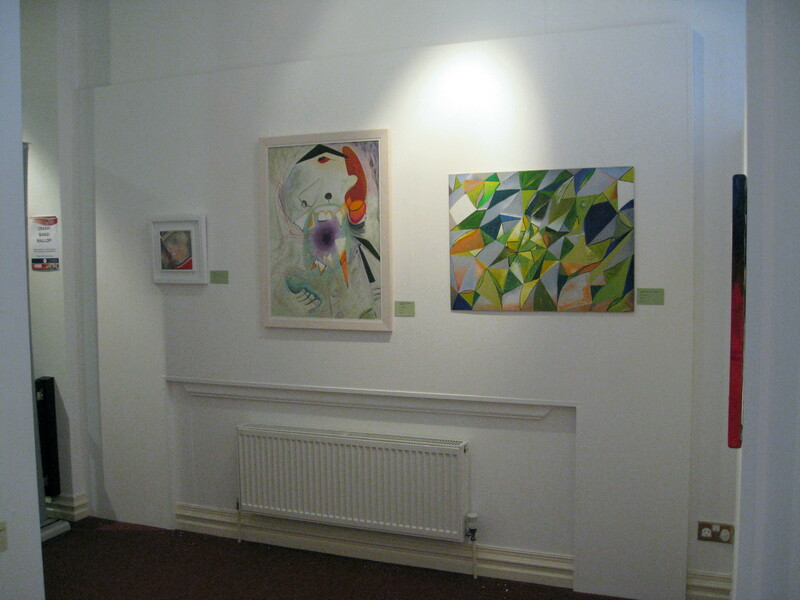 I do hope the event is well attended and successful as I may well open up my own studio in future as an alternative. This time around though I’m begging space from John. Thank you John. Don’t forget If you are planning your route around Derbys over those 3 days my solo exhibition will still be on and you could do both, OK Eastwood is not in Derbyshire but it’s only just over the border and not a million miles from Ripley, Heanor or Ilkeston. I promise you there will still be plenty of my work to look at. 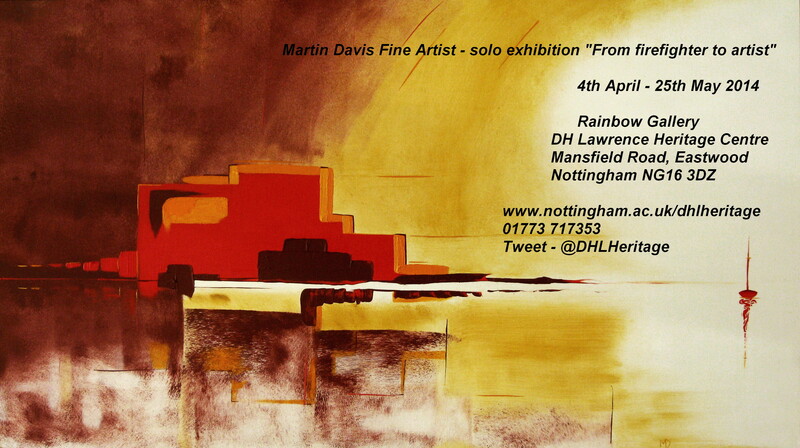 As of Fri 11th April my solo show in Eastwood, Nottingham entered its 2nd week of a two month stint. 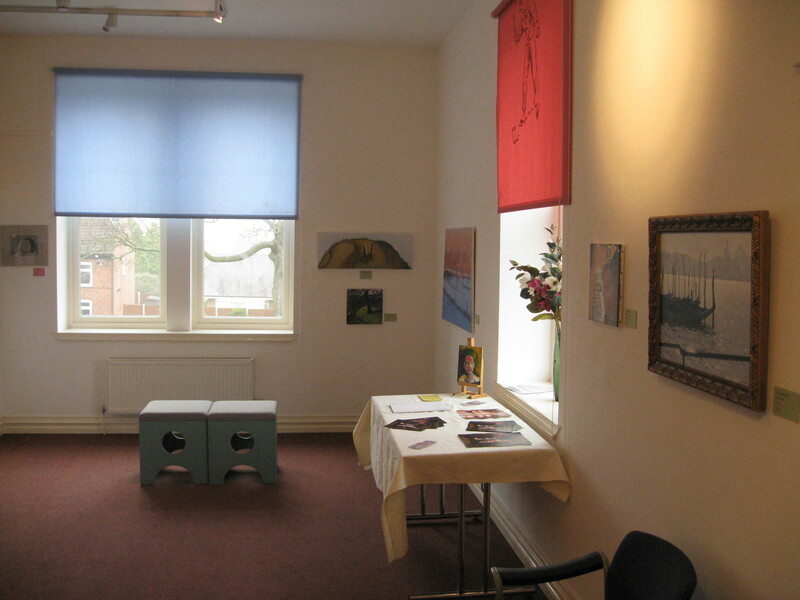 I called in on a couple of occasions (once in response to DH Lawrence Heritage Centre staff who told me exhibits were falling off the walls – alarming!) with personal guests and things looked good. Plenty of comment in the Guest /Visitors Book – one read “Great visit to the museum and gallery. Paintings OK”. Talk about being damned by faint praise, but I guess if you ask for comment and feedback you need to gird your loins. No sales yet but that was never the point anyway. No honestly! After all the hard work getting the event up ‘n running it’s nice now to be able to sit back and let people meander through and enjoy it. Don’t forget it all ends on 25th May. 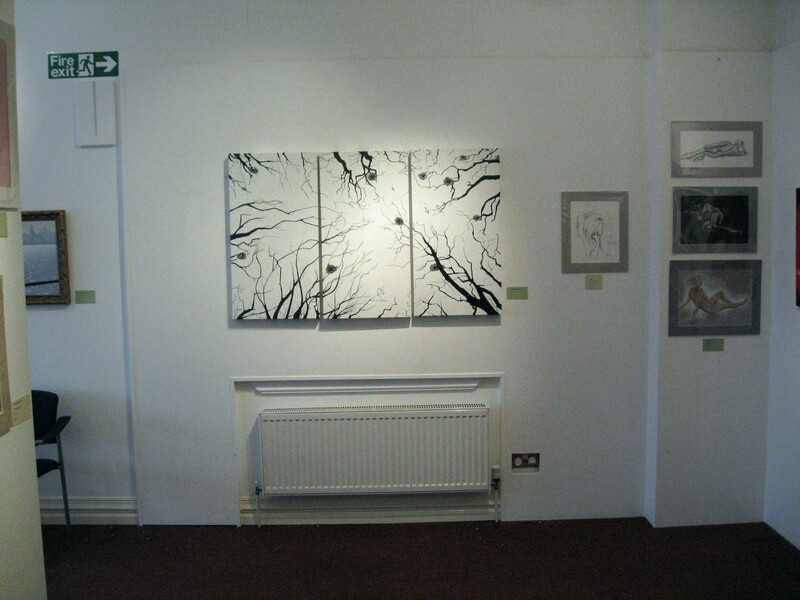 Probably never have another such wide ranging exhibition again so come and have a look what I’m all about. 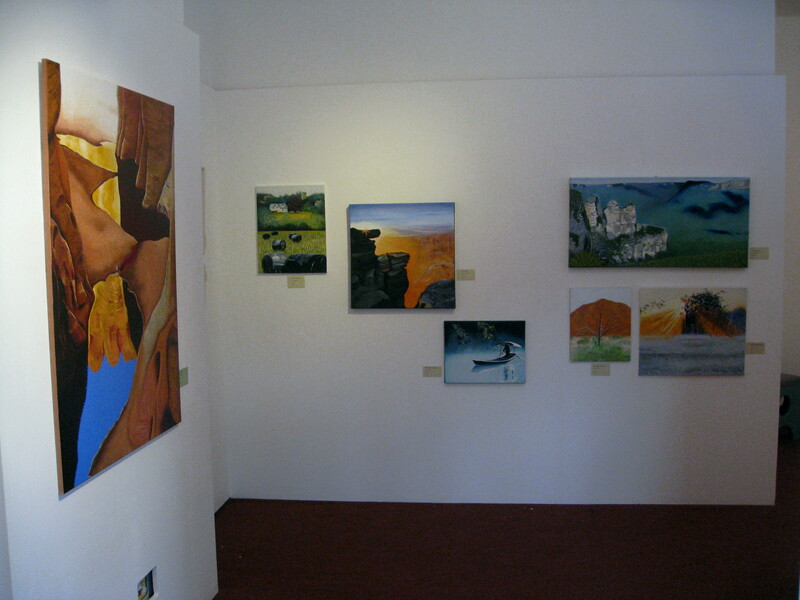 Next up is the Derbyshire Open Arts weekend at the end of May. 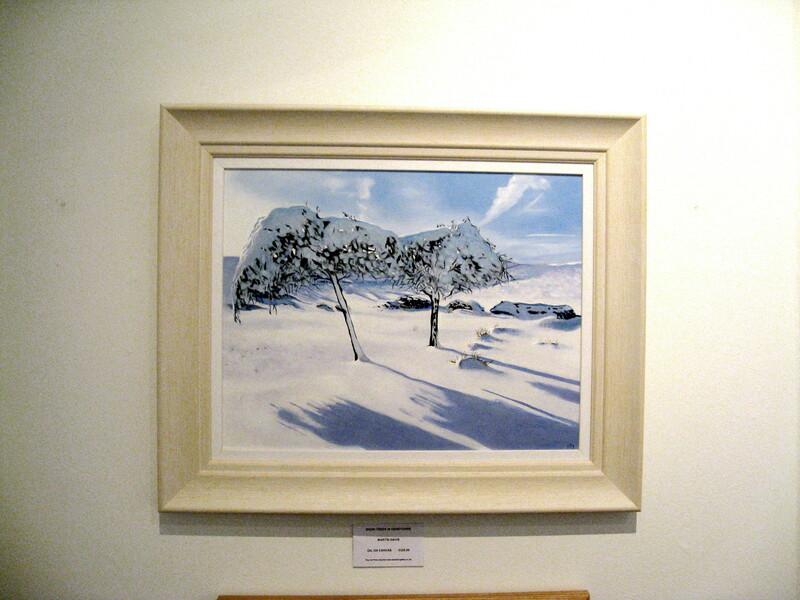 This year I will be in attendance at Leabrooks Gallery where I will be demonstrating what I do all w/e. Hope you can make it – come and introduce yourself if you do, I’m sure to be ready for a rest. 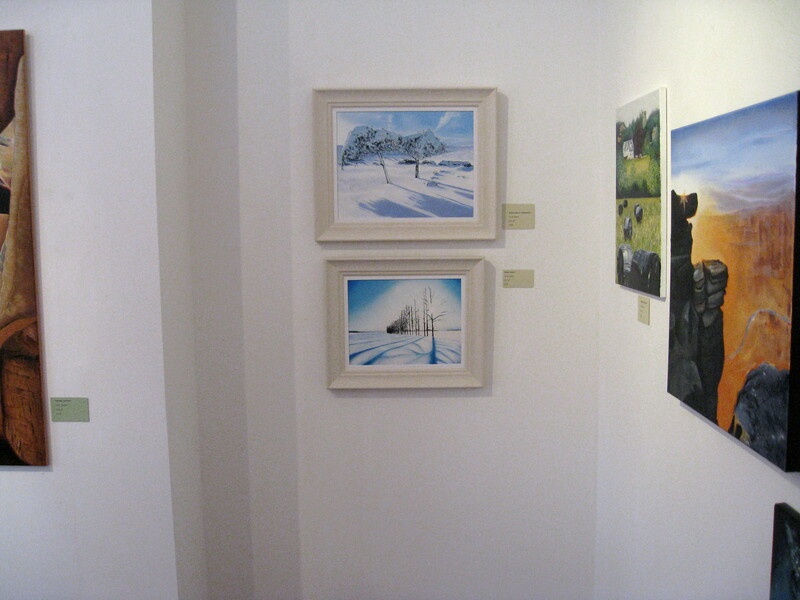 After DOA I have a small exhibition of prints on at Shipley Library on 15th June for two weeks. Some time ago when I was musing on what art meant to me and what I was trying to do I must have presumed that I would always be able to do it. Unfortunately I have recently experienced a nasty skin reaction to something and it occurred to me that it could be toxic art materials. Whilst I am in the process of hospital visits and in the hands of the medics I thought it would be wise to review the way I use oil paints and thinners etc. Done a fair bit of research and listened to others and I’ve now more or less removed turps substitute etc from the studio as the whole place reeks of it – not a good environment. I’ve always been careful about touching solvents (less so the paint) but now I only use it for limited specific purposes (cleaning the plates I use for paint mixing) and then the rag or paper towel is binned immediately. For cleaning brushes I’m trying baby oil which is working well at the moment. If oils themselves proove to be a problem I could be in the dread position of having to reconsider which other media I could use. Absolutely dread this – oils have been my mainstay since I started painting more than 40 yrs ago! still I could look on this as an opportunity. I’ll let you know how things are going over the next few posts, OK so far but too early to tell or gauge any difference. Of course it may be nothing to do with art materials at all. Lets hope.